Beautiful Palm Beach estate home was just listed at 110 Clarendon Avenue, Palm Beach. This beautiful home offers 6 bedrooms and 8 bathrooms, and is just under 9000 square feet. This beautiful Palm Beach home offers stunning ocean views as well as deeded beach rights. This estate home on Palm Beach was built in 1999 and offers impact windows and a full house generator. This home also offers a 3 car garage, guest house, and elevator. 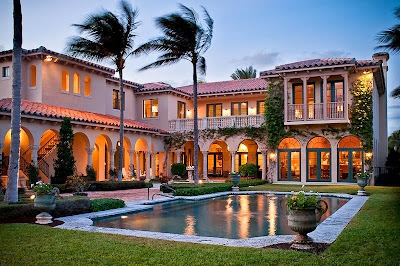 Palm Beach, Florida is known for amazing architecture, a wealth in culture, and fine arts. Palm Beach offers some of the finest shops and restaurants on Worth Ave. If you are looking for a home on Palm Beach, search the Palm Beach MLS here on Distinct Estates.